If you have decided to build a new deck, you’ll likely have spent a long time thinking about the type of deck boards you want, such as colour, style and grain. However, how you attach those boards together should not be just an afterthought, as it can make quite a difference to the aesthetics and performance of your decking. Create a sleek and upscale look using these hidden deck starter fasteners, perfect for a range of decking projects and working as part of the hidden deck fastener system. 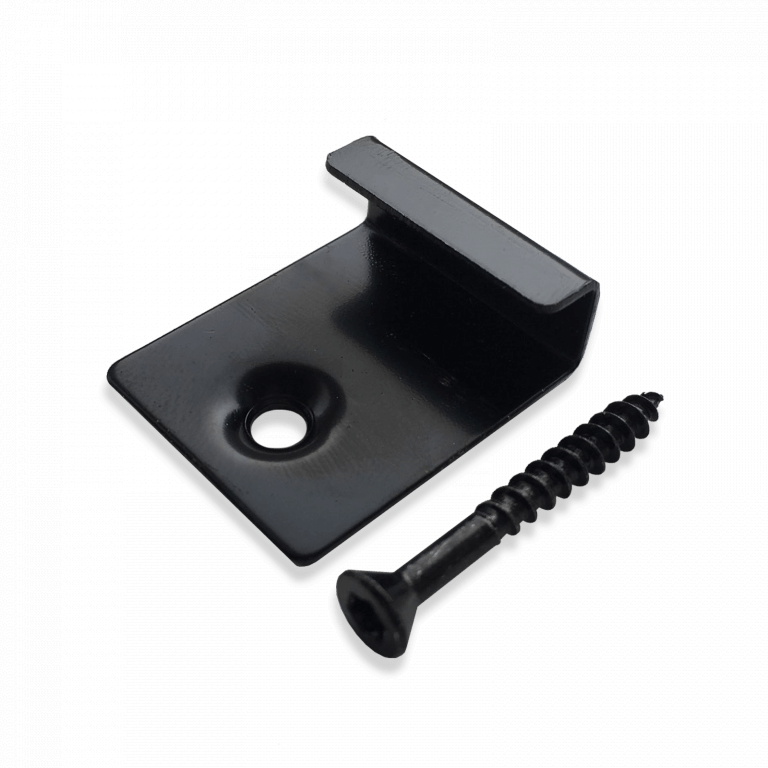 The starter fastener is a concealed fastener clip that is used to secure both the first and last board of each run, ensuring that the decking body stays in position and ensuring longevity. The number of starter fasteners needed varies with the type and design of the deck, but on average you are likely to require a box of 100 for every 25 square metres of decking. Out of site, the hidden starter fastener will initiate the secure fixing of the composite decking board to the joist, following which composite decking spacers can be used for the rest of the boards. Joists should be placed 30cm apart to create a substructure for the composite decking. We recommend pre-drilling holes for the rest of the project to prevent the joists from cracking. These best hidden deck fasteners offer quick and easy installation, resulting an smooth, fastener-free deck surface that is sure to stand the test of time.